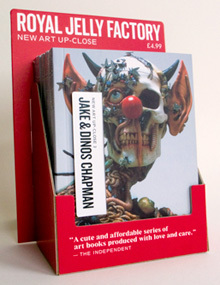 Royal Jelly Factory is the publisher and distributor of the New Art Up-Close series of pocket-sized art books. Find out more about this series by visiting the Bookstore section of this website. We accept sale-or-return orders and offer a 35% standard trade discount. Trade orders may be made by post, telephone, fax, or e-mail. Full trade terms can be found below. Free POS display stands available on request. Ordering: Trade orders may be made by post, telephone, fax, or e-mail. Please include shop name, address, telephone number and contact name. Postage Costs: UK carriage free. All other countries charged at cost. Dispatch: Orders will normally be dispatched next working day. Returns: In case of damage, defect, or dispatch error, please call +44 (0)20 7734 6032 within 24 hours. Returns by permission only and at the bookseller's cost. Strictly no returns outside the UK. Books in mint condition may be returned to the Royal Jelly Factory address within 12 months of the delivery date. Books not returned within 12 months will be invoiced for. 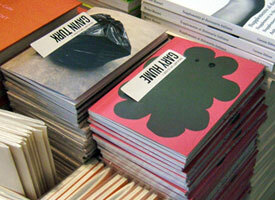 Books not in mint condition (damaged or shop-soiled) will be invoiced for. Payment: Strictly 30 days from date of invoice. Please make cheques payable to Royal Jelly Factory. Cheques must be in £GBP Sterling and drawn on British banks. Bank transfers can be made directly into the Royal Jelly Factory account. Outside the UK: No returns. Postage charged at airmail cost.